Song: “And Jesus Grew” Hide Em In Your Heart Volume 1, by Steve Green. View motions here. Jesus was a boy living in a town called Nazareth. (show on map) Jesus was God’s son. How do we learn wisdom? From the Bible. Jesus had wisdom about God? From the Bible. 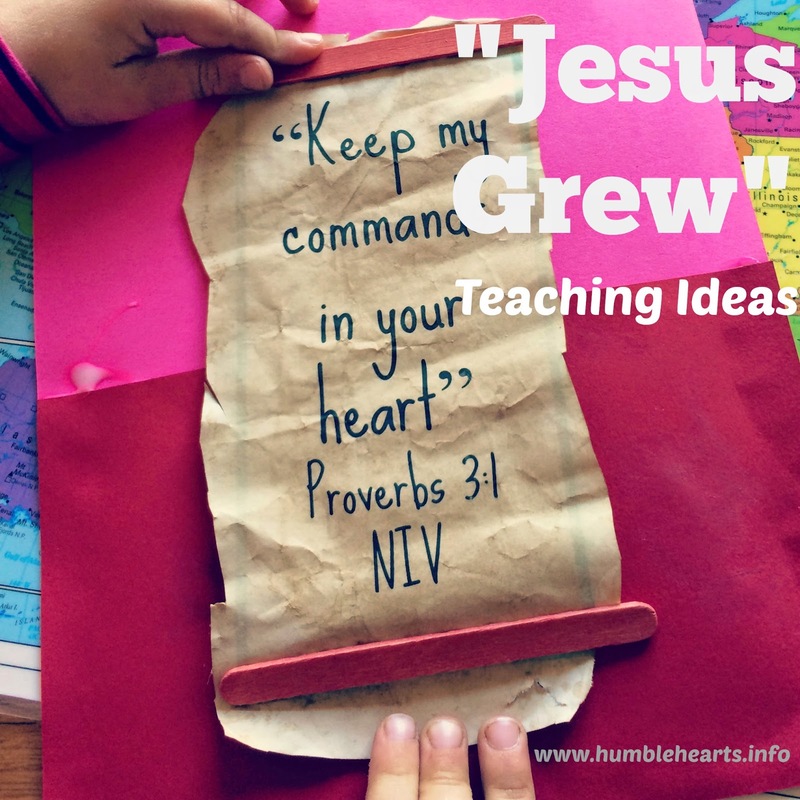 For Jesus to grow in wisdom he would have to learn the Bible. While traveling back to Nazerth Mary and Joseph couldn’t find Jesus. What do you do when you can’t find someone? They found Jesus sitting in the temple listening and asking questions from teachers that knew the Bible. Mary asked him why he had stayed behind. Jesus answered (read Luke 2:49). Jesus knew that God was his father and that he needed to learn God’s Word. 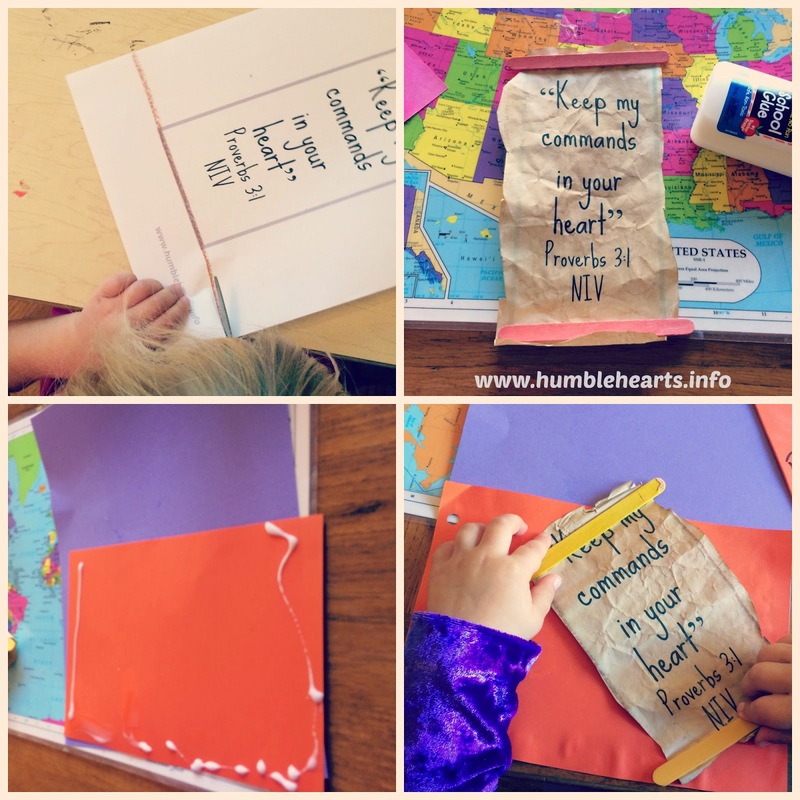 Even though you are a child, you can learn God’s Word. Then you keep God’s Word in your heart. Explain About Scrolls: When Jesus was a boy, the Bible wasn’t a book. Instead it was paper rolled up, called a scroll. (have your child practice saying the word “scroll”). 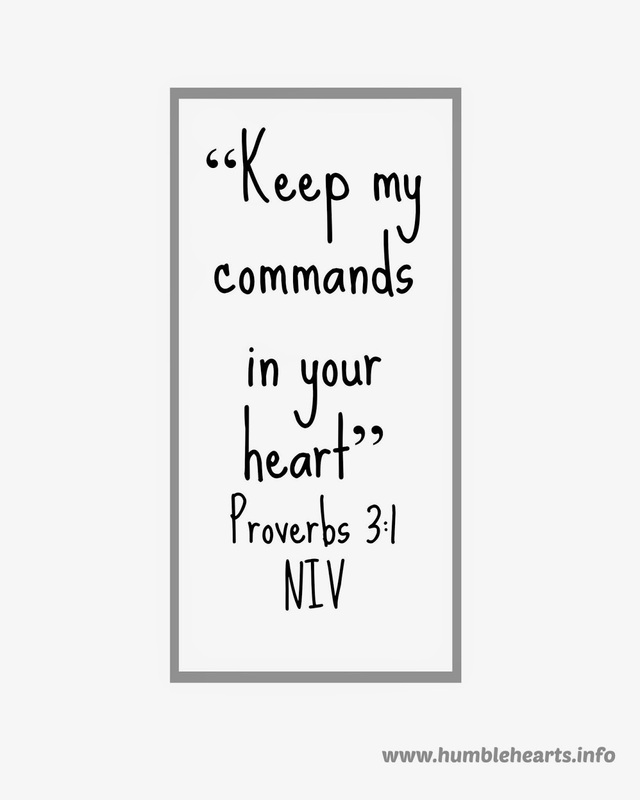 Print out Proverbs 3:1b on computer paper. Optional: after you cut out the paper, you can stain it with tea to look aged, instruction here. When dry, roll up the scroll and keep it in the pocket.